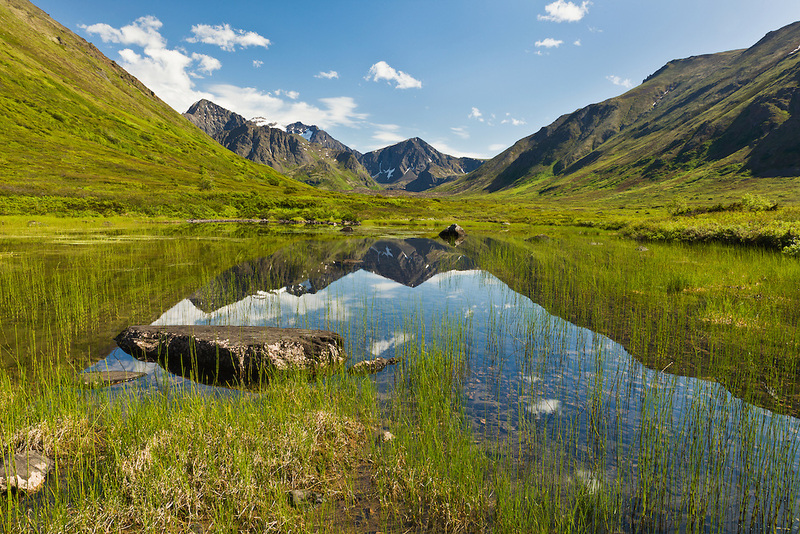 Cantata Peak and Calliope Mountain are reflected in a pond along the South Fork Eagle River Valley in Chugach State Park in Southcentral Alaska. Summer. Afternoon.